Øvrige oplysninger Condition undercarriage: 25%. 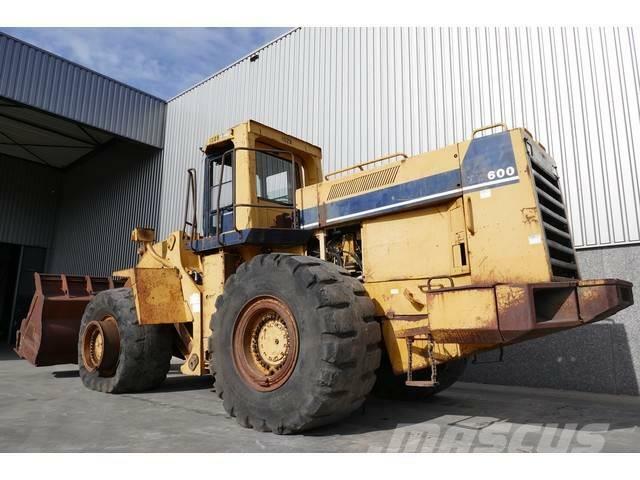 Komatsu WA600-1L Wheel loader, E-ROPS cab with airconditioning, 6 cylinder Komatsu SD170 engine with 415 HP, 40.400Kg operating weight, 5.4M3 bucket, 4 step powershift transmission, 35/65-33 tyres. Machine is in "as is" running condition and will be sold for spares or repairs. Inspections are welcome.